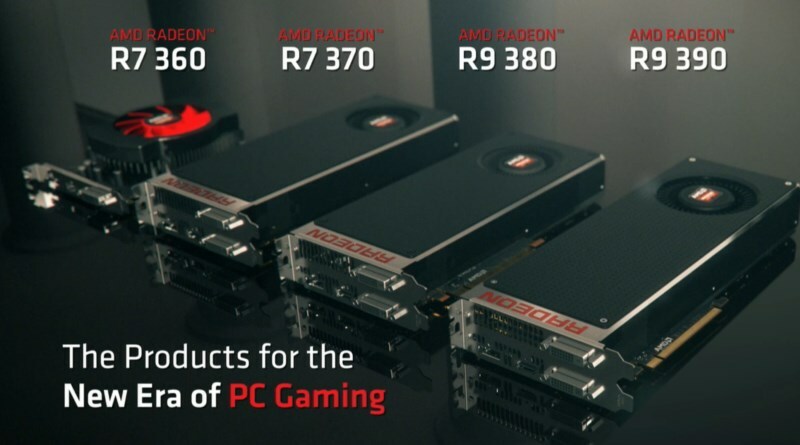 As if the four Radeon R9 Fury flagship graphics cards with the new Fiji HBM GPU were not enough, AMD has also announced another set of new graphics cards. These cards are positioned at various price points under the company’s Radeon R9 and R7 300 series. It is also interesting to note that Radeon R7 370 does not support AMD FreeSync and TrueAudio technology which is rather weird since the rest of the family including the lower end R7 360 do support both technologies. It seems like a repeat of what happened to R9 280X, R9 280, R9 270X, R9 270 and R7 265 that were missing the support for TrueAudio even though the lower end R7 260X and R7 260 did feature it. In terms of pricing, the top of the line R9 390X goes for USD 429 (RM 1,607) while the R9 390 and R9 380 are priced at USD 329 (RM 1,233) and USD 199 (RM 746) respectively. As for R7 370 and R7 360, their prices have been listed as USD 149 (RM 558) and USD 109 (RM 409) respectively. Consumers are able to see these cards at stores starting from 18 June although their availability in Malaysian market is not known at the moment.